Iran’s deputy foreign minister has called on the United Nations to do all it can to stop military aggression against Yemen. IRNA reports that Hossein Amirabdollahian, who is attending an international conference in Kuwait on the Syrian refugee crisis, met with Ban Ki-moon to discuss the most recent regional developments. He warned that Saudi aggression against Yemen will have serious consequences for the countries in the region and urged the UN Secretary General to do everything in his power and within the range of the UN’s capabilities to put an immediate end to any military action against Yemen. 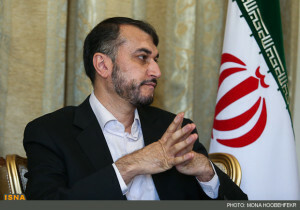 Earlier, the Fars News Agency had quoted Amirabdollahian saying Iran is willing to cooperate with Saudi Arabia to resolve the crisis in Yemen. “Iran has a proposal to resolve the crisis and is trying to establish communication lines with Saudi Arabia,” he reportedly said. In recent days, Saudi Arabia has been bombing Adan and regions of Houthi control in Yemen. Iran has condemned the Saudi attacks. The deputy foreign minister also discussed Syria with Ban Ki-moon. Amirabdollahian expressed regret that weapons and armed fighters continue to pour into Syria, especially in recent weeks, and he urged the UN to take a more active role in stopping it. He added that Iran has provided $4.2 billion in aid since the beginning of the Syrian crisis in the form of food, medical supplies and fuel for refugees. The Syrian crisis, which has now entered its fifth year, has so far claimed 210,000 lives and displaced half of the Syrian population.